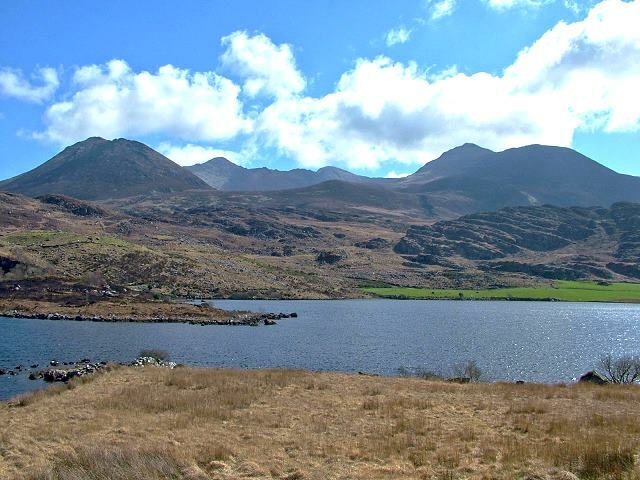 The stage between the Black Valley and Lough Acoose is one of the most scenic one on the Kerry Way. From Black Valley walk past Cummeenduff Lake on a small paved road at the southern flanks of MacGillycuddy's Reeks. The following green road runs steeply in parts touching Curraghmore Lake and over a low pass with pretty views across the Bridia Valley which you reach along a small rough road. Here you have the option to carry on into the Bridia Valley and Caragh River Lodge (3,5 hrs from the Black Valley) to stay there or to walk on along the small road to Glencar (not marked, recommended as an alternative to the official route in very wet/muddy conditions). For walking on from here to Acoose see description below. Caragh River Lodge welcoming B&B set in its own neat and tidy garden and with fantastic views. Services for walkers, comfortable rooms, full Irish breakfast, packed lunches, light evening meals or transport to local restaurants. The official walk turns right from the Bridia Valley road (1km before you reach Caragh River Lodge) onto 'Lack road', not really a road but a steep mountain pass with more excellent views and difficult at any time, but especially in wet conditions. 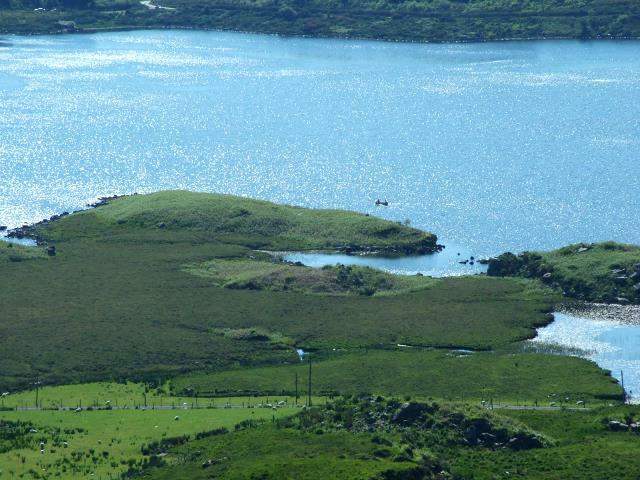 From there descent to Lough Acoose and follow the small paved road along the shore to the junction with the main road (turn right for Acoose House, left to Glencar).